This Charter is a declaration of our mission, values, commitments, Standards and our expectations of others. 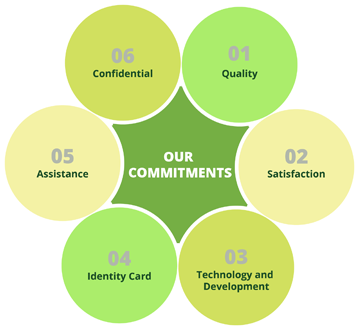 Our mission is to achieve all round excellence in the spheres of manufacture and marketing of Chemical Fertilizers, Bio fertilizers, Agrochemicals paving way for increased Agricultural production and productivity, maximizing Shareholders value and guarding interest of all Stake-holders of the Company. and without any fear or favour. We have set upon ourselves the standards for all transactions with you. We undertake that in case of likely or inevitable delay, we shall promptly communicate the same to the party concerned. Produce and distribute quality fertilizers conforming to the specifications. Timely distribution of our fertilizers to ensure consumer satisfaction. Continual up gradation of Technology and Development of Human Resources. All officers who deal with the public will carry an Identity Card. Provide every possible assistance to public by the Public Relations Officers in the Registered Office, and by Regional Managers in our Regional Offices and Chief Resident Manager, New Delhi. The Officers nominated would, besides, provide relevant information including procedures that may have to be followed by public in dealing with the Company. Keep the Personal and Business information disclosed to us confidential. If you have a complaint or grievance against the Company you may contact the Public Grievances Committee headed by the General Manager (Personnel and Administration), Madras Fertilizers Limited, Manali, Chennai – 600 068 for redressal. In respect of complaints involving bribes or financial irregularities, you may approach the Chief Vigilance Officer, Madras Fertilizers Limited, Manali, Chennai – 600 068 for redressal. We expect you to be reasonable and prompt in exercising your rights and obligations in all your transactions with the Company without extending inducement of any kind and not raising any frivolous issues.